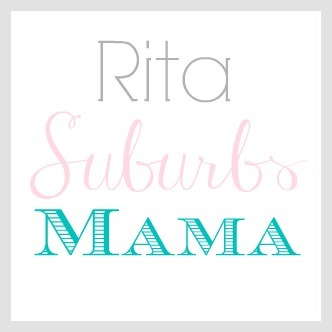 Suburbs Mama: Happy Pie Day, I mean Pi Day! Last week I was horribly sick, although I feel much better now (aside from a little cough) My kids are now sick, so it's has been a hard few days. I haven't gotten much sleep and the house was not deep cleaned in a week, which drives me crazy. Well last night, as my hubby put the kids to bed, I decided to clean the house. I always deep clean my house on Thursday afternoons, and its always such a dreaded long task because my toddler is constantly getting into everything. I forgot how easy it is to clean up without little kids underfoot. It took me about 40 minutes and I was done! I am thinking that cleaning the house after the kids bedtime will be my new thing. Waking up to a clean house just makes a huge difference. I lit some candles, and the dreary rain outside didn't even bother me anymore. Well, kinda. I still want some sun. 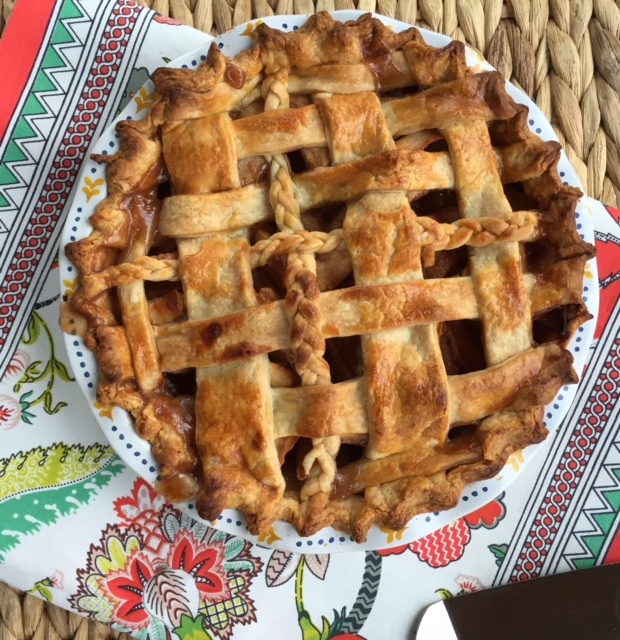 After the breakfast dishes were put away, the kids were settled on the sofa with books and iPads, I decided that I would make a pie, it is the perfect comfort dessert, and it turns out that it is Pi Day today. I used my usual recipe, which you can find here. 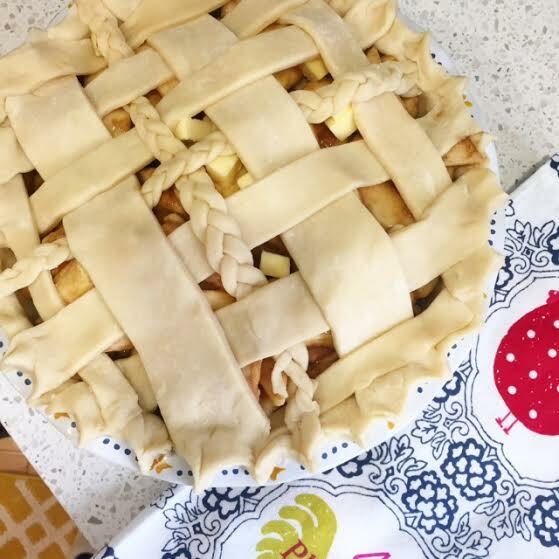 What is it about a pie in the oven? The smell, the anticipation - Yum! I really want a second slice now. Okay, I am going to go have that second slice now.